In this week’s ETFS Trade idea, we look at the results of the SPIVA® Australia Scorecard recently released by S&P Dow Jones Indices and compare the performance of ZYAU to a collection of well-known active funds focused on Australian equity-income. S&P Dow Jones Indices have been publishing SPIVA® Scorecards for major markets since 2002 and have become leading contributors to the active versus passive debate worldwide. The SPIVA® Scorecards track the performance of active fund managers in each market against benchmark indices across a variety of categories and across multiple time horizons. Looking specifically at Australian large-cap equity funds, as at the end of 2017 59% of funds underperformed the S&P/ASX 200 Index. Over 3, 5 and 15 year periods, respectively, 67%, 63% and 77% of funds underperformed the national benchmark. An equally-weighted portfolio of active funds would have underperformed the benchmark over 1, 3, 5, 10 and 15 years. Small Index over 1 and 3 years. How does ZYAU compare to active funds? ZYAU sits in-between a traditional active fund and a purely passive index tracker in the area commonly termed ‘smart-beta’ or ‘enhanced-alpha’. Smart-beta funds passively track an index, but the index they track has features that differentiate it from a standard market capitalisation-weighted index and aim to outperform a standard index in much the same way that active funds do. measure of dividend yield and buy-back yield. 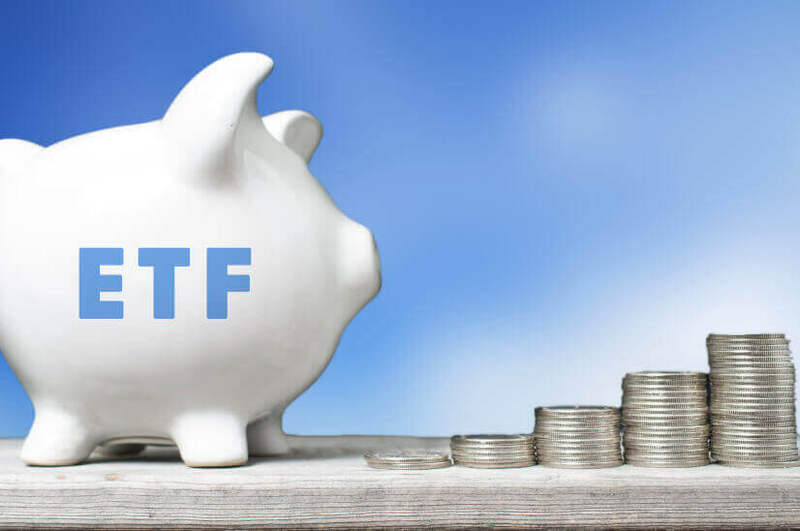 because the fund does not require a team of fund managers to continually evaluate its holdings, it can charge management fees more in-line with passive index trackers. ZYAU’s stocks selections tend to be more “active” than many active funds, with its Active Share, or non-overlapping weight, versus the S&P/ASX 200 currently at 80.5%. This means that ZYAU can better compliment a core index holding in a portfolio. Table 2, below, shows comparative performances and headline management fees of ZYAU against a collection of well-known active funds that focus on Australian equity and equity income. Firstly, to note, ZYAU’s management fee compares favourably to the active funds, as would be expected. ZYAU charges a fee of 0.35% p.a., which is below all of the active funds profiled and significantly below the average active MER of 0.83% p.a. With regards to performance, since its inception in June 2015, ZYAU has generated 2.10% p.a. excess return over the S&P/ASX 200, which puts it ahead of 16 of the 17 active funds. Only Bennelong Australian Equities Fund has outperformed, due to a very strong start to 2018. In the calendar year 2017, ZYAU outperformed the S&P/ASX 200 by 0.63% and beat 14 of its 17 active peers. In 2016, ZYAU outperformed 16 of the 17 active funds profiled and produced 5.42% of excess return over the benchmark index. Since inception, ZYAU has delivered strong performance at a fraction of the cost of many of its active peers and should be, therefore, considered by investors looking for cost-effective excess returns. ZYAU captures the performance of a selection of 40 high yielding Australian shares selected from the S&P/ASX 300 Index and rebalanced twice annually. ZYAU initially screens stocks based on liquidity, free cash flow to equity and dividend growth rates. This excludes stocks that are illiquid, are returning more cash to shareholders than they are earning, or have recently cut their dividend payouts. ZYAU then selects the 40 stocks with the highest shareholder yields for inclusion and weights them according to a mix of shareholder yield and market capitalisation. ZYAU has an MER of 0.35% p.a. ZYAU has a Recommended rating by Lonsec.